The Amtrak Cascades 501 was making its first trip on a new service route between Seattle and Portland when most of its train cars derailed killing three people and injuring over one hundred people.The accident occurred on a stretch of brand new track. Since the President’s tweet we have learned that the train was traveling at 80 mph in a 30-mph zone. We further learned that Positive Train Control technology was not deployed at the time of the derailment. PTC, which automatically slows the speed of a train, was installed but not yet operational. While the facts of the derailment are still unfolding, the following principles apply universally to nearly every accident or near miss. Human behavior is at the heart of nearly every accident. Here are just a few examples of behaviors that lead to accidents. 1. Taking short cuts – Employees are properly trained. They know the correct processes to follow. Yet, they elect to circumvent the process and take a short cut. The short cut may work for several years, providing a false sense of invulnerability. 2. Ready-fire-aim – Employees jump into the task without proper preplanning or understanding the scope of work and associated risks. 3. Distractions – They come in all forms, from cell phone use to preoccupation with personal issues. If unmanaged, distractions will make it difficult to operate safely. · Leaders and managers accept bad behavior and tolerate excuses.This paves the way for the company to repeatedly make the same mistake. · Management defends questionable actions or attitudes with the explanation “We’ve always done it this way.” Safety is leader driven. If leadership is complacent about safety, the rest of the company will follow suit. Safety is under a constant state of repair. · Management makes demands that are not reasonable. Our companies must be safe and productive. It’s not an “either/or” proposition. Unmanaged production pressure can lead employees to cut corners. · Processes and procedures do not exist or are not well understood. What good are processes if they are not understandable? Handing your team an unwieldy 600-page handbook written at a post graduate level is a waste of time. People can not follow a process if they do not understand it. It’s a company’s responsibility to produce processes which are both comprehensive and understandable by the intended audience. Investigations must not begin with a predetermined conclusion. When we are confronted with an accident, it is easy jump to conclusions.Then, we spend our time trying to structure the facts in a way that supports the conclusion. The President’s tweet is a good example. He concluded that the cause was a failure to invest in infrastructure. We know improper speed was the likely cause. We also know the train was running on new track, so crumbling infrastructure was not a likely cause. A root cause analysis (or RCA) is the best way to determine how to determine what occurred and to prevent future accidents. The RCA must start with a blank slate and then explore all potential causes, ruling them out one at a time. That’s exactly what the NTSB is already doing with Amtrak Cascades 501. Performing an RCA, regardless of severity of the incident, produces two benefits. First, it will enable you to determine the cause so that you can prevent future accidents. Second, it will create an intellectual rigor among you and your peers so that you can all benefit from learning what happened and how to prevent it from occurring again. Using the derailment as an example, here is how we can apply the above principles if we were investigating this accident. 1. Probe for individual failures: We know the train was traveling 80 mph in a 30-mph zone. What are all the possible causes? Consider distractions, fatigue, and disregard for process as possibilities. Were all pre-trip protocols followed? Did mechanical failure contribute to the failure to decelerate? 2. Probe for organizational failures: Cascade 501 was traveling a brand-new route. Was there proper preparation for the new route? Was the track tested? Were employees trained regarding various speed zones on the route? Should Amtrak have launched the route before PTC was available? The accident investigation is focusing on this exact issue: What caused Amtrak to launch before the safety technology was in place? 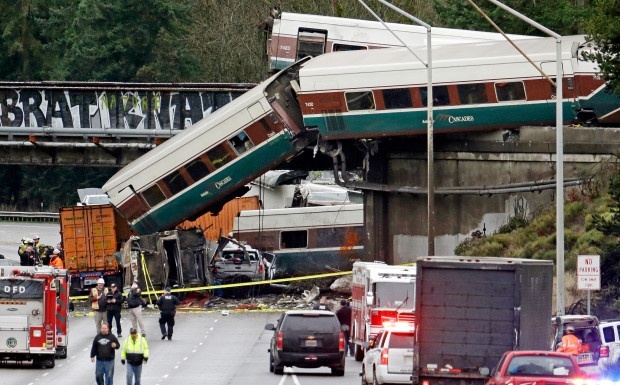 Amtrak’s tragic derailment provides a lesson for all safety sensitive businesses. Nearly every accident involves human behavior. The root of the accident may be in individual behavior, organizational behavior or both. When an accident or close call occurs, never jump to conclusions. Allow for a full investigation to occur. Never stop asking questions until you get to the clear cause. 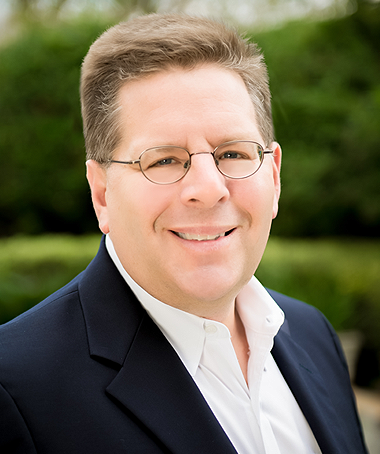 As an expert on corporate culture and business leader running his own company, Brian is a regular contributor to Entrepreneur.com and has been featured on CBS, NBC, FOX, ABC, NPR, Wall Street Journal Radio, Fast Company, The Street and others. A public speaker, Brian travels throughout the country presenting on the topic of corporate culture.